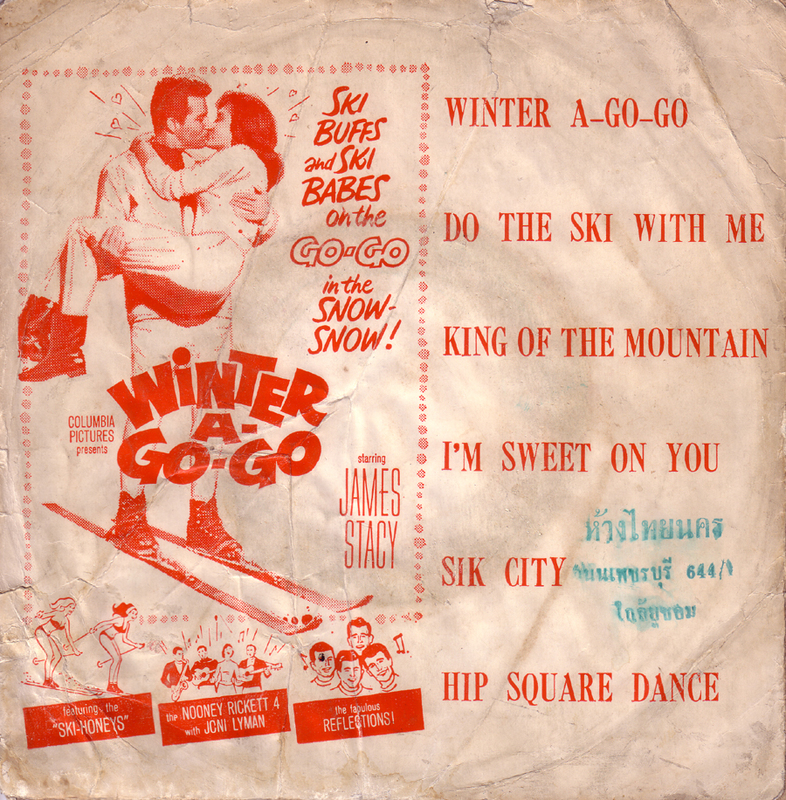 Of all places, I found this soundtrack to the film “Winter-A-Go-Go” nine years ago in Thailand. It has a green stamp with some Thai writing on the sleeve. 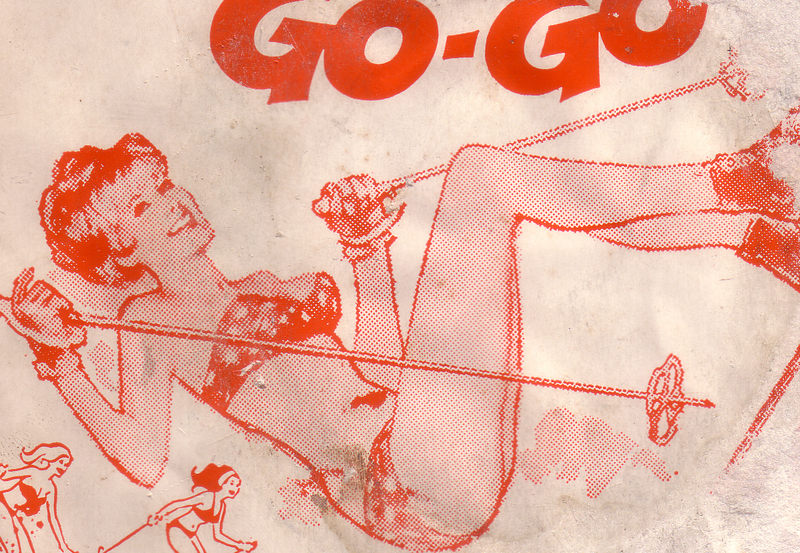 Sadly the record didn`t take too well to the Asian humidity, so the record and the jacket are not in good condition but the sound files should be listenable. 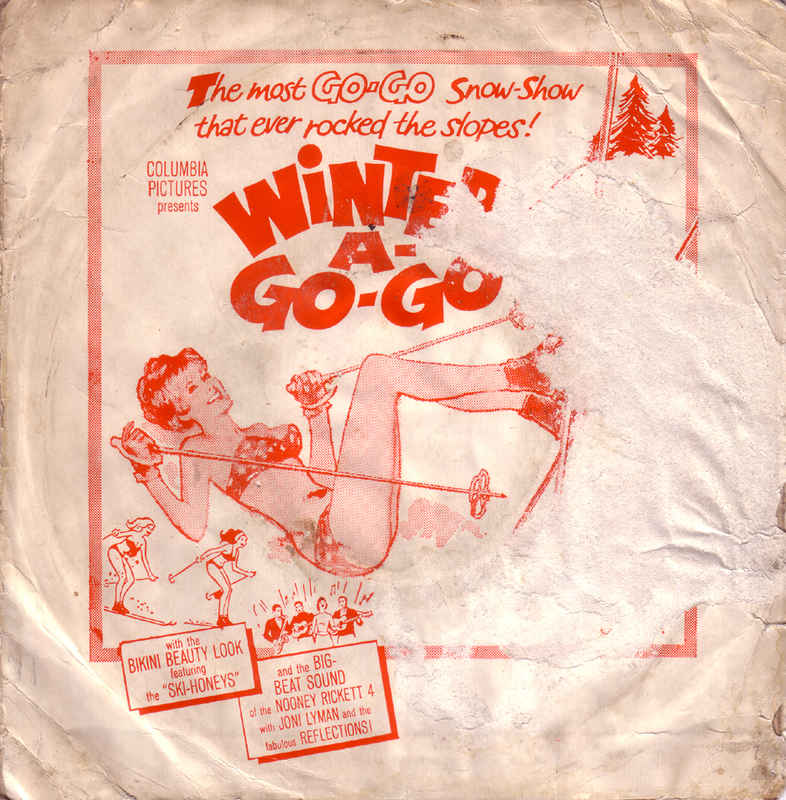 The music is like surf music only the lyrics center around skiing instead of surfing. 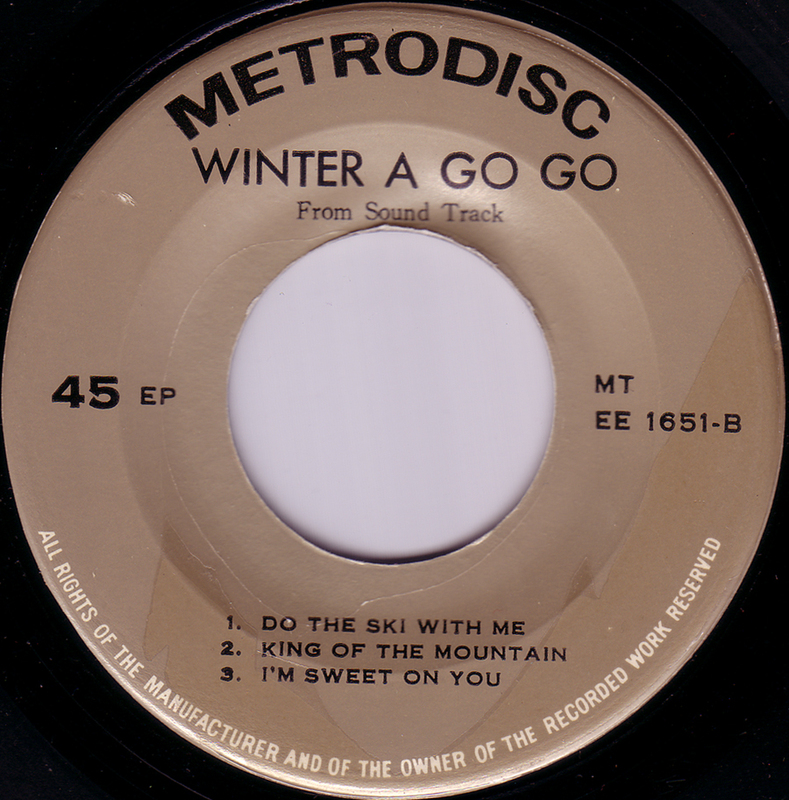 The title track “Winter-A-Go-Go” is performed by the Hondells.